Imran Khan has vowed to ‘shut down’ Islamabad on November 2 to protest against the ‘corruption’ of Prime Minister Nawaz Sharif. Khan had crippled Islamabad for days in 2014 after he rejected Sharif's election win. 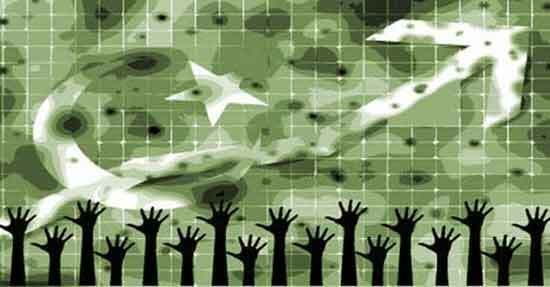 At a time when all is not well between the civilian government and the military, political instability could lead to Pakistan’s powerful army undermining the feeble democracy Pakistan has managed to sustain since 2008. What is Imran Khan up to? Imran Khan, the cricketer-turned-politician and chief of Pakistan Tehreek-i-Insaf (PTI) party, has announced plans to lay siege to the capital next week "at any cost" if by then Prime Minister Nawaz Sharif doesn't agree to either resign or allow an investigation into offshore holdings of his family members revealed in the Panama Papers. Khan on October 29 directed his workers to escape arrest and reach Islamabad on November 2 for “a final showdown” with the Sharif government as police detained more than 600 activists of PTI in different parts of Punjab province. Earlier, the party had planned different rallies on October 29 in Islamabad and other parts of the country to motivate people to reach Islamabad. A day after clashes between PTI workers and police in Islamabad and Rawalpindi, the Punjab police closed the Peshawar-Islamabad motorway and Attock Bridge by placing containers to stop the PTI workers from reaching the capital on November 2 when Khan and his supporters have a plan to lock down the city from the rest of the country. Khan also advised party supporters to travel in groups and instead of taking the main route where police is stationed they should opt for hidden routes to arrive at the site. Khan said the protests would force the closure of schools, public offices, roads into the capital, and the airport, until Sharif resigned or agreed to be investigated. 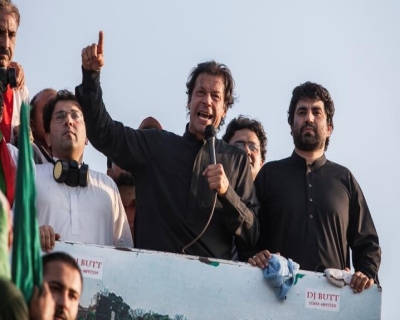 Khan remained under virtual house arrest at his Bani Gala residence in Islamabad on Friday as police teargassed and baton-charged scores of PTI workers before bundling them into prison vans in Islamabad and Rawalpindi. Why does he sense political opportunity now? Imran Khan has seized on the Panama Papers scandal as a fresh opportunity to try to unseat Prime Minister Nawaz Sharif. 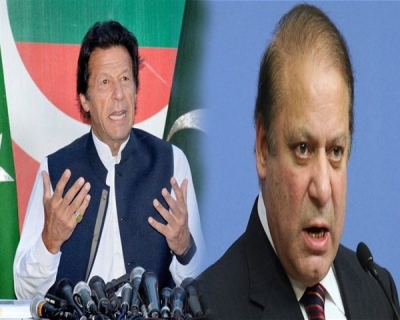 Earlier, he had staged protests in Islamabad for four months in 2014 in Islamabad over alleged electoral fraud during the 2013 elections but failed to topple the prime minister. Leaked documents from the Mossack Fonseca law firm in Panama in April showed Prime Minister Nawaz Sharif‘s sons Hassan and Hussain, and daughter Maryam, owned at least three offshore holding companies registered in the British Virgin Islands. Holding offshore companies is not illegal in Pakistan, but Khan has implied the money was gained by corruption accusing the family of using the tax haven to launder that money and dodge taxes. Khan is betting big on people being fed up of the corruption in Sharif’s government. In a way he has put his political reputation - or whatever remains of it - on the frontline now. If the people do not turn up, he may have to revise his strategy, which now heavily focuses on attacking the popularly elected Prime Minister. Khan has even called Sharif as ‘Modi’s agent’. When did Khan turn to politics? After his retirement from cricket, Khan became an outspoken critic of government mismanagement and corruption in Pakistan. 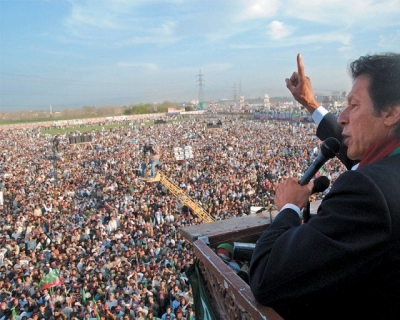 In April 1996, Khan founded the Pakistan Tehreek-e-Insaf (Movement for Justice), a centrist political party, and became the party's national leader. 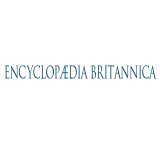 In national elections held the following year, the newly formed party won less than 1 percent of the vote and failed to win any seats in the National Assembly, but it fared slightly better in the 2002 elections, winning a single seat that Khan filled. Khan maintained that vote rigging was to blame for his party’s low vote totals. In 2007 Khan was briefly imprisoned during a crackdown against critics of the administration of President Pervez Musharraf after Musharraf declared a state of emergency in November. 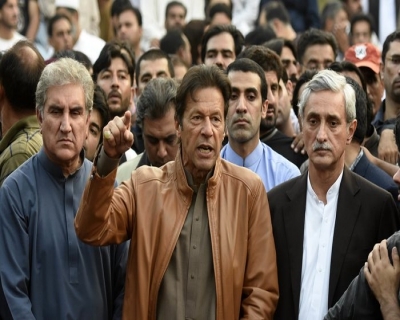 Tehreek-e-Insaf condemned the state of emergency, which ended in mid-December, and boycotted the 2008 national elections to protest Musharraf’s rule. He was again elected to the parliament in 2013 elections, when his party emerged as the second largest in the country by popular vote. Khan’s populist positions found support, especially among young people. He continued his criticism of corruption and economic inequality in Pakistan and opposed the Pakistani government’s cooperation with the United States in fighting militants near the Afghan border. However, lately he has been criticized for adopting a "soft stance" on militants, as he has stressed for dialogue over militancy on several occasions. In one interview, he described Taliban fighters as people oppressed by the state: "Terrorism in Pakistan is a reaction to drone strikes and military operations; suicide bombings are a tool of the weak used to attack oppressors." Where can Khan's disruption cause problems for Pakistan? Since its independence, Pakistan's democratic system has fluctuated between civilian and military governments at various times throughout its political history, mainly due to political instability, civil-military conflicts, political corruption, and the periodic coup d'états by the military establishment against weak civilian governments, resulting in the enforcement of martial law across the country (occurring in 1958, 1977 and 1999, and led by chief martial law administrator-generals Ayub Khan, Zia-ul-Haq and Pervez Musharraf respectively). Democracy in Pakistan, however imperfect, has never been allowed to function. 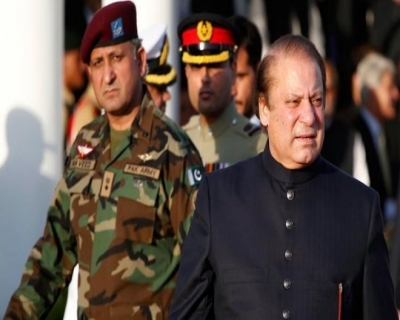 Until 2013, Pakistan did not experience even one democratic transfer of power from one democratically elected government that had completed its tenure to another. All of its previous democratic transitions have been aborted by military coup. 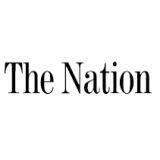 The political strife has come at a delicate time, as relations between the ruling PML-N party headed by Sharif and the powerful military have been strained by a newspaper leak about a security meeting that angered army officials. In a moment of heightened civil-military tensions, Mr. Khan should think twice — and then twice again — before putting the democratic order in peril. A cleaner democracy Pakistan surely needs, but the system must remain democratic if it is ever to be cleansed of corruption. Perhaps given the crucial moment in Pakistan’s history it is worth reiterating what precisely is at stake. The current democratic transition began in 2008 and is on the verge of delivering a second full-term government and a second successful peaceful transition of power between parliaments. The opposition of Imran Khan and PTI could be part of the necessary pressure to improve the government, governance and quality of public life. However, democracy is the only legitimate system and it is the only system worth protecting. Imran Khan should pay heed to being on the right side of history. Who else is getting targeted for money laundering? Members of Sharif's cabinet addressed a press conference on Saturday and accused Khan himself of money laundering and tax evasion. The allegations follow Khan's acknowledgement in May that he used an off-shore company to legally avoid paying British tax on a London property sale. Pakistan Muslim League Nawaz (PML-N) leader Muhammad Zubair revealed that he will give evidences about Imran Khan’s involvement in money-laundering and tax returns fraud. PML-N leader explained that Imran Khan established Niazi Limited Service in 1983 as an off-shore company; however, PTI Chairman didn’t mention the company in his tax-return for almost one year. He also alleged that Imran established the off-shore company to conceal his black money. Muhammad Zubair also made it evident that Imran Khan bought a flat for 86,200 pounds during the year 1983 and concealed it in tax-returns until the year 1989. He revealed that upon the introduction of Musharraf’s tax amnesty scheme during the year 2000, Imran disclosed the company in his records. He also disclosed that Imran Khan also got a flat booked in Grand Heights in Islamabad in 2014, but did not mention it in his tax returns. How is this affecting Pakistan’s economy? Pakistan’s economy has just started to stabilize, and for further economic progress political stability is a must. 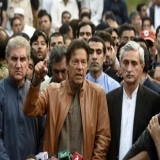 More than jittery over cricketer-turned-politician Imran Khan's plans to shut down Islamabad next week, as much as $3.35 billion has already been wiped off from Pakistan's stock market. 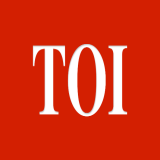 The locking down of the capital where all the government machinery, foreign diplomats and foreign institutions reside is certainly the most important factor in the investors' minds right now. Even the Chinese panicked about the lockdown of Islamabad as they feared that Chinese investments in Pakistan — especially the $51 billion China-Pakistan Economic Corridor — shouldn’t be a target of PTI's November 2 'Occupy Islamabad' anti-Sharif protest.